In California, laws are designed to protect borrowers trying to stop foreclosure and save their home. This has created legal protection for homeowners, giving them a fighting chance against powerful lenders. However, it is crucial that homeowners in southern California contact a mortgage fraud lawyer to successful stop mortgage fraud and save the home. Dual Tracking has been a common practice of mortgage companies for decades, but the practice is now illegal in the state of California and other parts of the country. Dual Tracking occurs when a mortgage lender moves towards foreclosure while at the same time reviewing modification paperwork from a borrower. Borrowers may believe they are working towards a resolution with their lender by applying for a modification, but when lenders send a notice of default or a notice of trustee sale, borrowers become victims of Dual Tracking, which is illegal in California. Typically, lenders request documentation for loan modifications to “prevent foreclosure”. Under the foreclosure laws in California, SB 900 requires a lender to stop the foreclosure process while a borrower is being reviewed for options to save the home and avoid foreclosure. If your application for a modification has been submitted, and if you have received a default notice or notice of a trustee sale, you should call our attorney today. In many cases, promises of a reduced monthly payment or even the reduction of the principal balance are extended to the borrower, dissuading them from taking legal action. Any homeowner that is facing foreclosure should contact a mortgage lawyer immediately. The first step in saving your home is recognizing that there is a problem. Hiring our mortgage fraud lawyer allows you to stop foreclosure throughout California. Our mortgage lawyers stop foreclosure by filing lawsuits against lenders or filing bankruptcy if that is a better option. Understanding Dual Tracking and the signs that accompany it can be overwhelming, but once a borrower starts to receive foreclosure notices, the next logical step is to hire a mortgage litigation attorney. Our mortgage attorney will quickly assess your case, on the phone, for free. If you have a strong case, we will file a lawsuit on your behalf and take legal action against the mortgage lender to stop the foreclosure. Although homeowners are obligated to pay their mortgage, they also have legal rights that prevent them from being exploited by mortgage lenders. 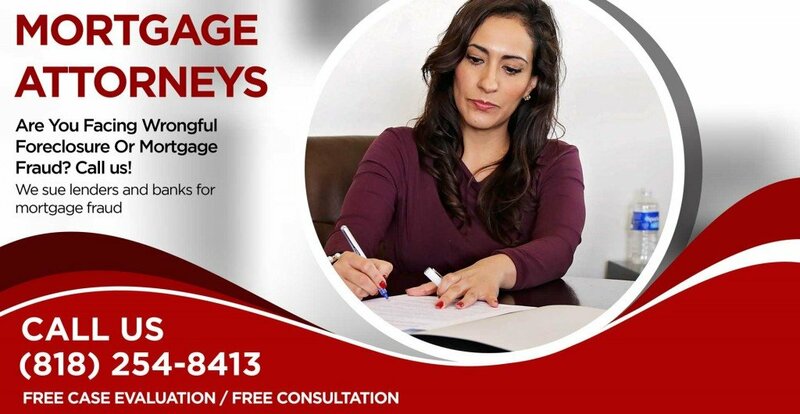 It is important to hire a mortgage lawyer dedicated to this area of law, who fully understands mortgage lending laws and how to appropriately move forward with litigation. If you are facing foreclosure and you live in California, you should hire the best mortgage fraud attorney to save your home. Consumer Action Law Group pursues litigation against lenders. Our team of mortgage attorneys will help you save your property and fight against fraudulent mortgage practices. Hire one of our mortgage attorneys will put a stop to your foreclosure and possibly regain a positive legal standing with your lender.